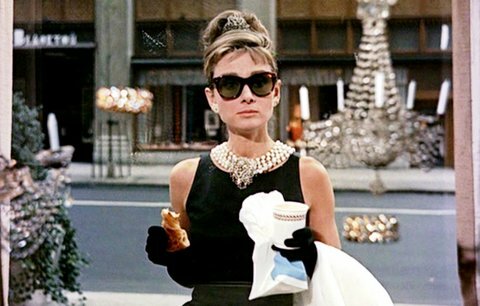 It feels like Breakfast at Tiffany’s was ahead of it’s time. The central character of Holly Golightly is not your usual 60s female character. She is strong, independent but at the same time disorganised, messy and slightly dumb. She is a mix that fits more in line with 90s romantic comedies, or the Bridget Jones series rather than a early 60s movie. Bizarrely, you aren’t necessarily on Holly’s side either. She isn’t portraying a character you instantly like, or more specifically, the more you get to know about her, the more obnoxious she is. She is selfish, money-driven, judgmental and seems to care very little for those around her. She doesn’t have any discernible qualities at all, expect that she is played in the sweetest and most charming way by Audrey Hepburn. 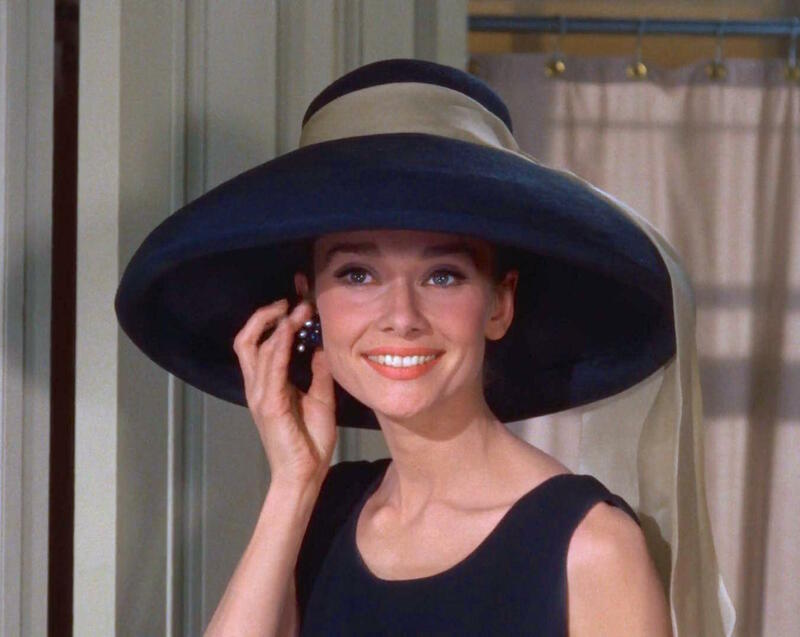 Hepburn makes the character so memorable and from the moment we see her having “breakfast at Tiffany’s” and wearing a dress so unsuited to the situation and time of the day, the audience is on her side. Add to this the fact that we are primarily seeing the life of Holly Golightly through the eyes of our male hero, Paul Varjak, played by a pre-A-Team George Peppard. Peppard seems as bewildered by his encounters with Hepburn as the audience are. He is learning of her strengths and flaws at the same time as the audience and this endears us to him as well. He isn’t perfect, having a relationship with a married woman, so it isn’t like she is taking advantage of a pure soul. The characters are just one of the elements which makes Breakfast at Tiffany’s memorable. It isn’t your usual romantic-comedy. It isn’t about “boy-meets girl, boy can’t be with girl, couple overcome differences and live happily-ever-after.” The plot is almost a screw-ball comedy. 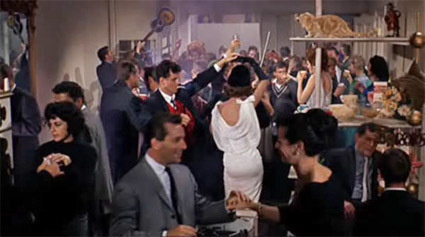 It has farcical moments, like the bizarre party at Holly’s house in the middle of the movie. There is the extended scene in the sweet shop or whole sub-plot involving gangsters. There is so much happening in the film you’d be forgiven for forgetting there is also a love story too. Not that the love story is necessarily that convincing. You like both characters but you don’t really believe that they will be “happy-ever-after” or that they deserve too. Neither of their actions throughout the film warrants the audience support but then again, maybe that is another string to the movie’s bow. It´s a disservice to everyone to had Audrey Hepburn in this. Holly is really evil. I watched this after “My Fair Lady” in which Audrey was a pure delight, but in this role, which i heard it was aimed at Marilyn Monroe first, is a big misfire. This movie is mostly unwatchable, unless you skip to the beautiful scene in which she sings “MOON RIVER” and the ending in the rain. Hehe I found the final scene in “Star Trek Generations” was a callback to this movie, in which Data searches for his lost CAT in the wreckage of the ship. Unwatchable seems slightly harsh but I can see why people dislike it. Marilyn Monroe would definitely have been a better fit for the role but I think Hepburn definitely brings something to it. Next Next post: Why do directors use “one-shot” scenes?